This comprehensive buying guide helps you learn about which personal computer will work best for your needs. There's no foolproof way to select the right computer for your needs. There are tons of websites that make reviews of different kinds of PCs so you can make a choice. However, buying a desktop computer is more confusing than ever, in this buying guide, we tell you what to look for in a personal computer when you need one or more...! This comprehensive buying guide helps you learn about which personal computer will work best for your needs. There's no foolproof way to select the right computer for your needs. There are tons of websites that make reviews of different kinds of PCs so you can make a choice. But hey mate! No single of them will allow you to say, “I want that one” when you walk into a computer store. However, buying a desktop computer is more confusing than ever, in this buying guide, we tell you what to look for in a personal computer when you need one or more...! Computers are far too abstract, their applications too diverse, their ability to handle specific software too uneven to allow easy selection. Choosing a computer takes time, effort, and thought. The motivation to buy any desktop computer should be related to a specific task. Your answer to that question should bring about a discussion of software solutions. Once you've focused on your present and future software needs, you can start discussing hardware. Whether your answer to “what will you use the computer for?” is word processing, you should first look at the word processing programs best suited to your needs as a screenwriter, schoolteacher, magazine editor, lawyer, or secretary, and then at the computers that can run the software you've selected. Maybe you are buying a computer to ease the office bookkeeping load, seek out programs written specifically for your own business's requirements in accounting, tax planning, or information management. If you intend to use the computer mainly for entertainment, first choose the kind of games you want, and then find the computer that will run them smoothly. Specific hardware systems are designed for specific tasks. The IBM® Personal computer, loaded with memory for data storage, is very strong for word processing and small business record keeping, but it's only passable as a game device, and a little awesome for use in the classroom. Among all computer brands, the Radioshack color computer was designed to play games, and although it can do much more than being a gaming device, its orientation is clearly in the entertainment area. The Apple computers Atari®, and Commodore PET are designed to do just about anything at all. Back in those days, Texas Instruments (TI 99/4A) was designed with a careful eye on classroom use, and the available software is particularly strong in education. The entries on the below paragraphs describe these computers in terms of strengths and weaknesses; these entries should help you as a buyer match hardware to your software requirements. Once you've decided on software, you will be presented with a handful of hardware systems, each with specific features. 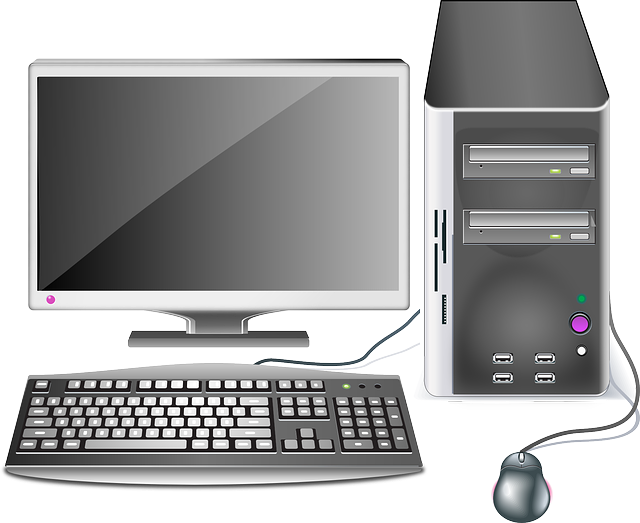 Some features of desktop computers permit manufacturers as a preemptive position in the marketplace; for example, The Osborne 1, is one of the few small computers that can run on batteries, so it's a good choice if you need a truly portable computer. Some are clever additions to the system: the Commodore VIC20 has a series of “function keys” on the keyboard that can be programmed for commands. Others are just gimmicks, or too highly specialized for the average user. Are you comfortable typing on the keyboard? There are several kinds of keyboards available, including touch-sensitive membranes, push buttons, and standard typewriter keys. Do want a full-color screen? Is there enough RAM space for your present and future needs? Are you satisfied with the availability of peripheral printers modems, disk drive and the ease with which they are connected to the computer? Is the price competitive with similar systems? Has the system been on the market for under one year? If the answer to question 6 is yes, you probably should not buy the system. The computer business is still experiencing growing pains, and new product introductions are not always smooth. One popular system simply ceased operation in many homes and offices due to faulty lead contact points between circuit boards; these were replaced by gold contact points on subsequent versions of the system. Another was introduced with a built-in real-time clock, which didn't work at all. Gone are those days when many people bought the system only because of the clock features because it was the only one of its kind at the time; when the clock didn't work, they wanted their money back. The manufacturer refused, offering a cash rebate for the price of the clock instead. In both cases, the problems were ironed out after about a year of product introduction. Computer repair is a sticky situation, because of the newness of the whole industry. Warranties traditionally run ninety days for parts and labor; repair is usually done at an authorized service center. Some stores offer service contracts for extended periods. That's why it's always a good idea to buy from a computer store that has a repair shop on the premises or has a relationship with a shop nearby. Many computerLand stores have repair centers on the premises. You can send the hardware to many manufacturers for repair as well, allowing additional time for whipping, etc. One further reason in favor of buying at a store with a repair shop is that computers are sometimes difficult to understand, and do occasionally “play dead.” An example out of personal experience: My Dell Inspiron 560 desktop PC suddenly stopped working. I could turn it on but nothing would appear on the screen. I called a computer repair service center and they suggested that I should remove the memory cartridges and Clean the contact points with a pencil eraser. I did and saved a repair bill. Bugs in the software can also make a computer system appear to be “broken.” Try a second program and you may be surprised to see the computer acting normally. You can buy a personal computer system for as little as $100 or as much as $10,000. 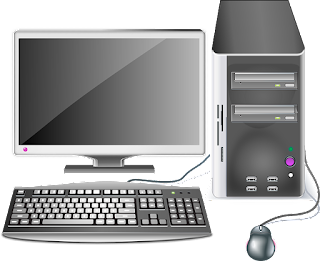 Generally speaking, there are three categories of Desktop Computers under $1000, $1000 to $5000, and above $5000. Computer systems designed to sell for less than $1000 are usually marketed to beginners or to those who want an advanced videogames system. Some of these inexpensive systems are designed to carry peripherals, and if you are very careful, you can buy a system that will suit your immediate needs at a very reasonable price. TThe BIG problem with inexpensive computers is that limitation on expansion. If you can afford $1000, it's a good idea to look at the most basic mid-priced systems such as Apple and Atari® 800™, that will run a very broad variety of software and with additional accessories, can become very powerful desktop computers. Given the choice of a loaded inexpensive computer system or a basic mid-priced model, it is usually wise to buy the mid-priced. Computer systems that begin at $3000 or so and range up to $10,000 are almost always designed for scientific, engineering, or business applications. These are almost always too powerful and too specific for general use as a Personal Computer.